Jocelyn is a busy mum of 1 based in Ontario, Canada with one on the way. She designs cute tees for mums and bubs. Jocelyn wears our comfy Myles joggers and as you can see they have a snug underbelly fit in the softest french terry fabric. Afraid to Breastfeed in Public? Afraid to breastfeed in public? You’re not alone. A UK study published last year by Maternal & Child Nutrition shows that many women are afraid to breast or formula feed in public. When you find out that you are pregnant there will be a great deal rushing through your head. Becoming a mother is a very scary time, but thankfully there is a 9-month grace period, including your maternity leave during which you can prepare for the responsibility and gain the knowledge that you need. 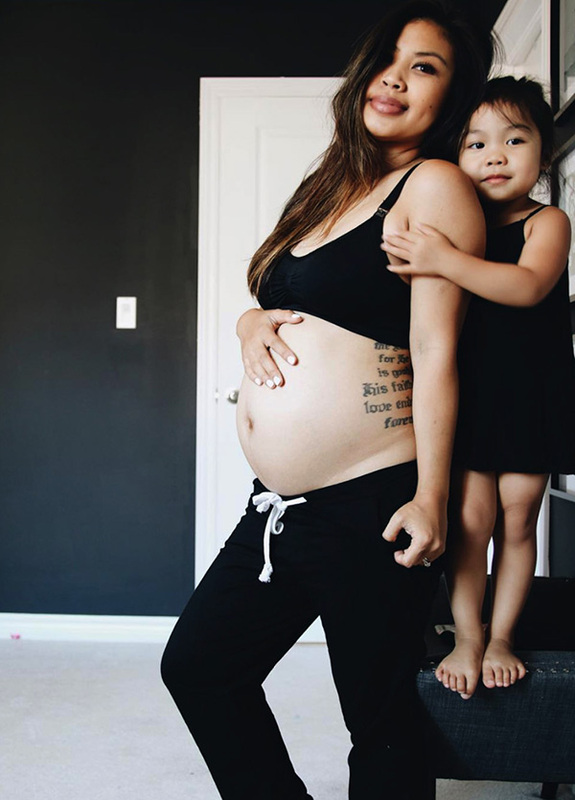 As you grow in size and fill out your maternity clothes, it is important to gain as much knowledge as you can about the baby you are about to have and the challenges that you will face. Herein we consider what you need to learn and how to go about getting this knowledge.